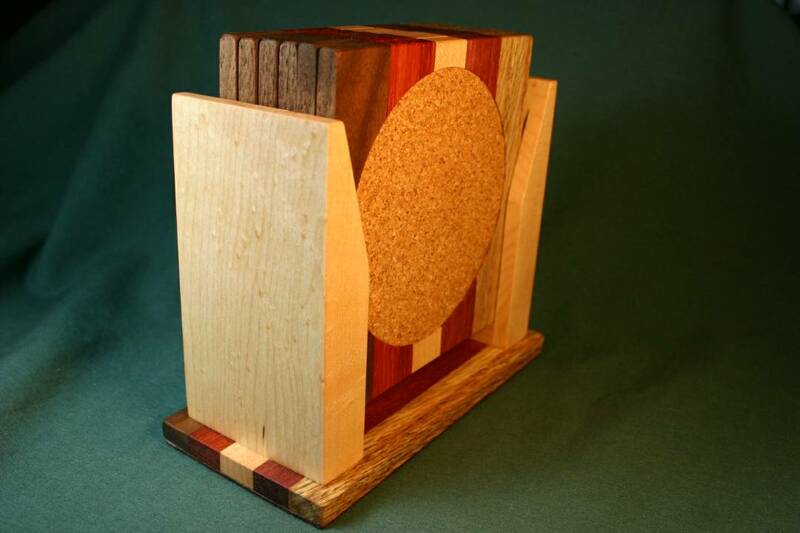 I designed these coasters back in 2002 and made 12 of them to give to family and friends for Christmas. They were a big hit, and I've gotten several requests for them over the years. I made six more sets and I have a couple left. 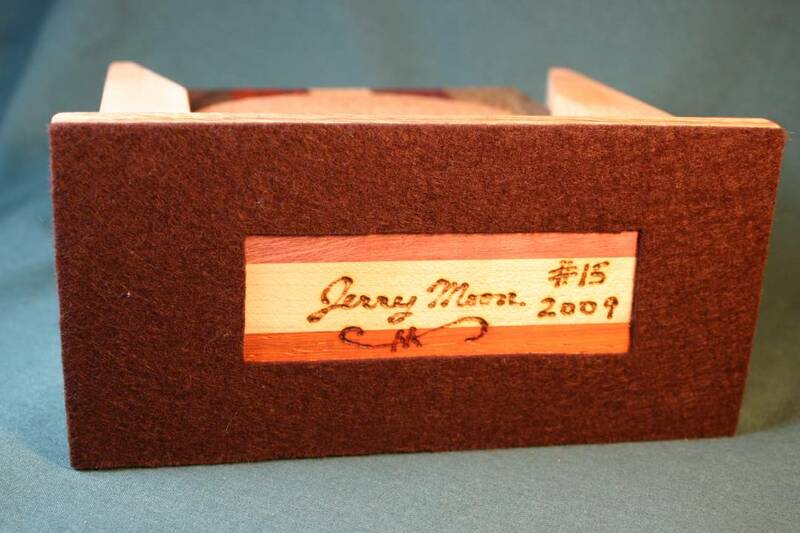 They're made with six different types of wood: Birdseye Maple, Hard Maple, Padauk, Purpleheart, Tan Oak, and Black Walnut. 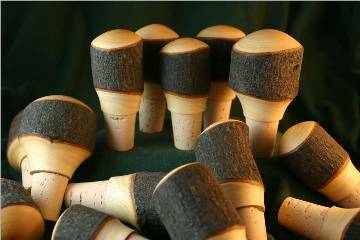 Technically, the cork is a type of wood as well. 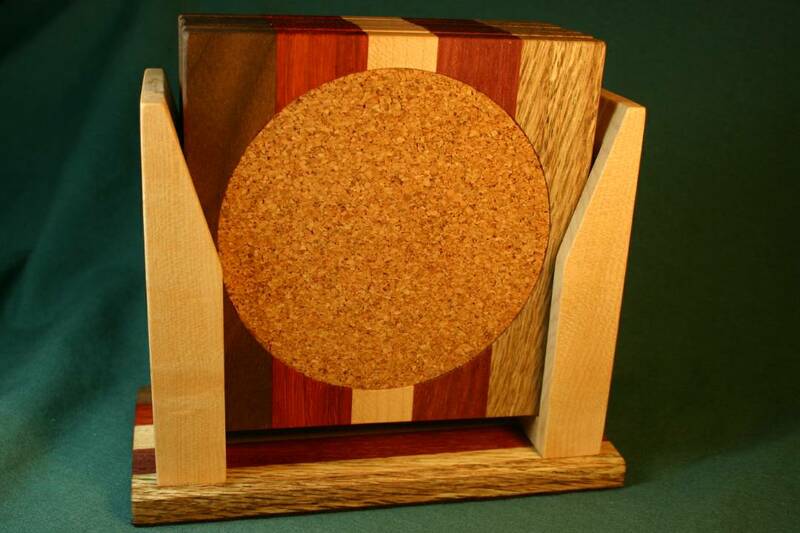 The base holds six coasters and is lined with felt to sit softly on your favorite coffee table. There are only 18 sets of these coasters in existence. They are signed by yours truly, dated and numbered on the base. Truly a fine set.